Mrs. E. is a dedicated DIY’er. Nevertheless, I was game for the challenge. 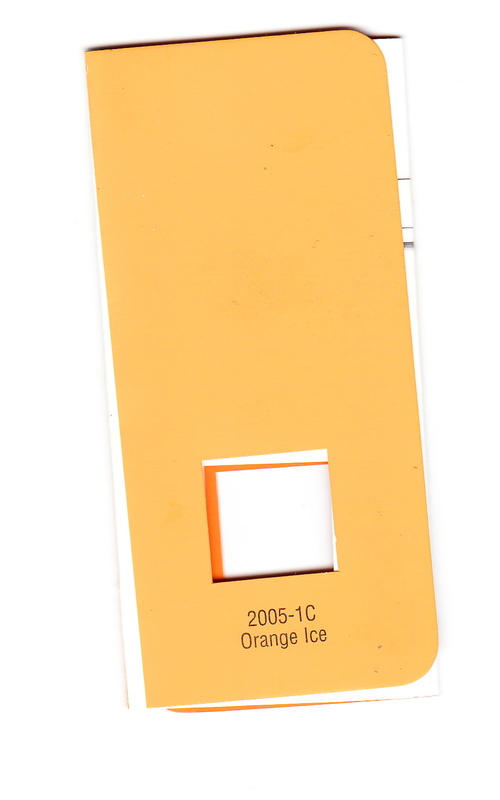 Finally, we settled on something called “Orange Ice” which approximated the colour of the faded book jacket. Which I applied using the wrong kind of roller and brush. I also chose the wrong finish, since the plaster walls don’t seem to want to soak up the colour and when they do, the eggshell finish really shows off every imperfection in the surface. The new colour is very pleasing. 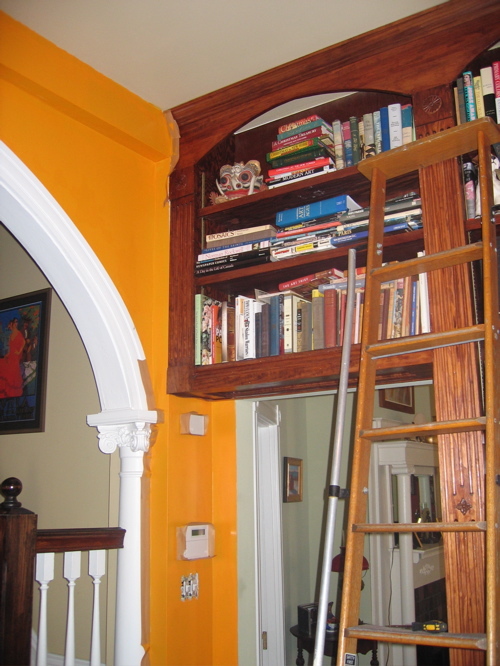 It also makes for a very awkward transition from the yellow living room into the newly “Orange Iced” library. All of which any professional decorator would have mentioned immediately, even before I painted the library with the wrong orange. Yes, painting is easy. But the end result isn’t as elegant as I would like. When will I learn to listen to my parents? This entry was posted in Living and tagged library. Bookmark the permalink. i totally get your dad’s view. that is my belief system as well. orange can be the most gorgeous color, really. and do you know it stimulates creativity ?? you can tone it down a bit so it will transition into the yellow more easily. I agree with the glaze recommendation. Most “pure” shades of orange and yellow can be tricky, but by adding the glaze you end up with multiple variant shades on the original color softening the look. It may also pay to paint the ceiling in a complimentary shade. Sometimes a white ceiling is a bit jarring next to a bold color. Well…you could repaint it while you still have everything “taped off”! In my experience (having painted entire houses and many, many individual rooms) taping is the annoying part anyway 🙂 Perhaps toning it down with a different hue, or the glaze idea, would be a good idea. On the website, it looks nothing like the dustjacket you were aiming for…so why not try again? Oh goodness. This was painful just to read. I have no talent at all for this and I hate this sort of thing and it always comes out wrong no matter how much effort I put into it. So, after 21 years and about 100 attempts (at least a good faith effort) I have abandoned the field to the professionals. I no longer care what has to be spent to do a painting job as long as I don’t have to do it and it is done while I am not there. You are a better man than I am. I, like your wife, am a DIY’er. I can’t see paying someone to do something I am perfectly capable of doing myself. I have laid wood floors, tile floors, built and installed cabinets, electrical, plumbing, etc……notice I’m leaving off painting. It’s the one thing I hate. I finally broke down and had someone paint our living room (16 foot ceilings and a fear of heights don’t go well together). Best money I ever spent. I may never pick up a paintbrush, again. And, the crew put on two coats plus a primer (the walls before were quite dark) and were done by lunchtime. I am thankful you didn’t hit my favorite bookshelves, though. I can breathe a sigh of relief. What a great post – – While my father re-wired two houses, finsihed basements (with custom darkrooms) and did all the work on our cars – -I can’t nail two boards togther. A buddy of mine in the Army told me I could screw up an anvil with a rotton banana. Hammer? I don’t even know her. I love the paint – AND the paint color. What a profession that must be? And, I compliment your commitment. 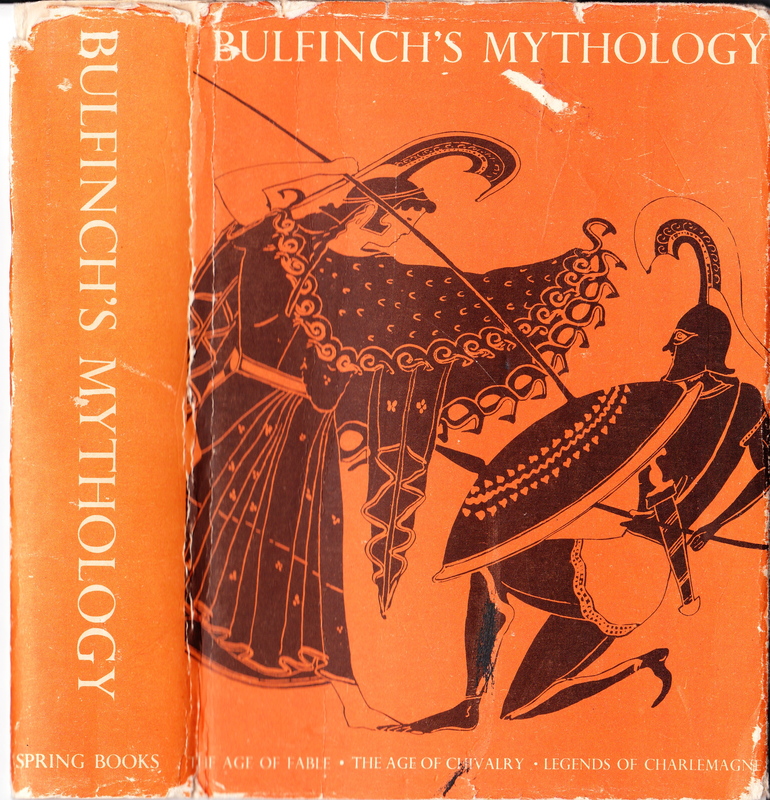 I love that the library color was indeed inspired by a book jacket. Apropos! I do love to paint a room – instant (almost) gratification! Mr. B and I painted a room that we were hoping would look sort of desert sand and instead looked like someone rubbed a soiled diaper across the wall. 24 hours later it was gone. It is all of it, including the Orange Ice, entirely out of key with the adjacent rooms and certainly unsuited to a library. Whatever possessed you? could easily have been toned down with an umber glaze as has been suggested. The Orange Ice might do in a tropical setting. Though it might be a tad oppressive during the steamy Richmond summers. go over it with some glaze and some eggshell paint on a rag and you will have depth! Bravo for the color choice. My husband and I both have art backgrounds and have studied color theory. We almost didn’t get married because talking about color was so difficult for the two of us. (I know this probably sounds crazy…) But we’ve successfully painted one apartment and two houses inside and out. The main thing is that when you’ve done two coats, ceiling and all the trim and you can’t believe you screwed up so bad, go out to lunch. After lunch go to the paint store and look again. Everyone has this experience including folks like us; don’t agonize over what’s done. Then get a couple of big pieces of masonite and those tester jars of paint of the new colors and make yourself some sample boards. Look at them in the daylight and at night and in corners and next to windows and you should be able to pick which one is right. Even if someone else paints, you still have to pick the colors. And color is a great way to express your personality and energize a room so I would not want to hand off that decision to someone else. But, I would bet it looks magnificent at night. You could try washing another colour atop this one. To take it a bit more terra-cotta. It might blend more easily with the yellow. I am in love with the lines of this room, however. And I am so in agreement with your father. Sage advice indeed. You are no doubt heartily sorry to have opened this topic to debate! Nonetheless I cannot help but wonder if your library wouldn’t benefit by having it’s bookshelves painted in a neutral grey or stone shade. Currently it is awfully fiery and foxy red juxtaposed against the orange experiment. Think how calm and stately that room would be without that bogus wood stain. I submit this advice respectfully. The original colour looks like it was inspired by the Widow Clicquot. A favourite. In flusher times, it was the house bubble. AAAhhhhhh!!!! Mr. Worthington, under no circumstances should the bookshelves be painted, in any way shape or form. Mr Turling, I have been up against your sort for decades, i.e. worshipers of the honesty of”natural wood” finishes as opposed to the heartless artificiality of painted woodwork~but it really comes down to a matter of taste. The coarseness of the bookcase/shelves may well have been exaggerated by the digital camera’s flash, but if not, then for goodness sakes, obliterate it and lend some integrity to that house. Rereading the original post, Mr. Worthington, I would agree in that the color of the walls does not complement the bookshelves; however, I would offer changing the color of the walls before painting the bookshelves, as painting the bookshelves must be considered a permanent change due to the cost, time and expense of returning them to their natural state. As you have been up against “my sort”, I must admit I have been up against yours, as well, i.e. the Trading Spaces worshippers who feel everything is better with a slathering of primer. Shall we agree to disagree? Have never seen “Trading Spaces” so cannot comment on the indiscriminate slathering of paint. What I cannot fathom is an indiscriminate reverence for natural wood whatever its quality. It is seldom warranted. That said, the wood finished bookcases chez E&E might look more at home in a sombre coloured room. Farrow and Ball’s “Calke Abbey” green comes to mind. And a good, mossy green would be a logical segue from a yellow drawing room. Mr E&E, your duties as referee have only just begun. Hello Gentlemen, as humble as the wood is, both Mrs. E. and I like it. The whole was fashioned from scrap while the contractor gnashed his teeth at the carpenter who swore that it wouldn’t cost him a dime extra. I agree that the colour of the walls at the moment leaves much to be desired. We may try a glaze, or if I can find that damned Farrow and Ball book, I am more than happy to consider other, less lively, colours. The room was a soothing shade of green before. I suspect that it is Mrs. E.’s Caribbean soul longing for warmer climes after the daylight savings took effect that led us to brighten up the joint. It is a fine colour. It just doesn’t work here or with the rest of the house. Redoing one room will be considerably easier. That having been said, have I mentioned the pearly blue RL Home colour that we want to paint the entrance hall? And believe me when I write that I am flattered that there are so many strong opinions being expressed (with good graces, especially.) I will choose to interpret it as a wish to ensure our surroundings remain as pleasant and harmonious as possible. May I jump into the fray? I am laughing at Turley’s comment. Imagine Brooke Astor, whose private library is considered one of the most beautiful of all, telling Mr. Hadley – NO!!!! You can NOT paint the wood!!!! I think that Toby actually is 100% on the money here. The wood appears red here. It also looks very thinly stained? Is it – or is it the camera? I think Toby is offering excellent advice and I myself, would be most agreeable to hearing him out. I have seen Toby’s extraodinary work and dare say, he knows his paints and colors. HGTV + Toby = nonsense! That said – if you DO want to keep the wood stained, – how about a deeper shade, much browner. The wood looks thirsty to me – give it more stain, darker. The orange will never do with the stain as it is now. The orange needs a lot more brown in it. E: my advice is – do you know a designer you admired? Call him, negotiate an hour’s time and offer a fine glass of wine. I do think, given the yellow in the adjoing room, the orange on the walls, the red stained wood, the blue in the entry hall – a professional is def. needed and would be well worth the money spent. After all, YOUR time is money too!!!! Great discussion – Can’t wait to see the final outcome.